Trey Jones practices in the Columbia office of McGowan Hood & Felder. His primary areas of legal practice are medical malpractice and nursing home negligence/abuse cases, but he also represents people in a variety of other personal injury cases. In law school, Trey received the CALI Award, given to the student earning the highest marks in the course, in “Interviewing, Counseling and Negotiation.” His passion for counseling clients and negotiating settlements, along with establishing personal relationships with his attorney counterparts, play large roles in obtaining favorable results for his clients. Trey is a trial lawyer, and he has a passion for being in the courtroom. It is a passion he first discovered while clerking for a circuit court judge his first year out of law school—and a passion he developed into skill as he tried many cases to verdict during the first six years of his career while working for large South Carolina insurance defense law firms. That defense-firm experience provided Trey with the ability to analyze and evaluate cases from the viewpoint of the insurance company—insight that allows Trey to identify strengths and weaknesses in his cases long before the defense counsel does. Trey finds reward in obtaining great results for his clients inside and outside of the courtroom. He prides himself on providing honest, accountable and straightforward counseling to his clients. 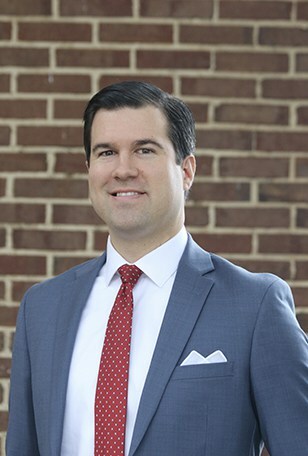 Trey also prides himself on being a native South Carolinian who understands the nuances of the people in all 46 counties of South Carolina, and he believes that helps him best represent his clients’ interests in the courtrooms across South Carolina. Trey is originally from Greenville, where he graduated from Greenville Senior High School. He attended the University of South Carolina, where he met his wife, Caroline. They live in Columbia with their two sons and their Boykin Spaniel dog.